From independent facilities to major film sound stages, Solid State Logic’s C300 HD Master Studio System delivers an unbeatable combination of enhanced productivity, secure performance and operator-friendly design. The C300 HD is the perfect nerve centre for commercial dubbing and post facilities. It combines the unrivalled audio fidelity & processing of an SSL digital audio console, comprehensive multi format monitoring, multi system machine control and a highly evolved hardware surface that seamlessly integrates hands-on control of the consoles internal audio path and multiple Digital Audio Workstations. With unrivalled DSP flexibility, C300 HD offers over 500 mix inputs, 80 mix busses and true multi-operator capability from a single processing core. C300 HD is a truly integrated control and processing solution that will make your facility more efficient. The commercial success of HDTV and Home Theatre Surround systems, together with the availability of high quality broadcast HD programming and HD DVD content, mandates a radical new approach to Audio Post Production. The universal consumer adoption of 7.1 playback systems with independently addressable side and rear speaker pairs, means that HD sound will eventually need to be mixed natively for this format and that current methodology of utilising an analogue matrix to synthesise a mono rear signal from the existing 5.1 stereo surround information will not remain acceptable in the long term. C300 HD provides the tools required to support these latest developments and more. 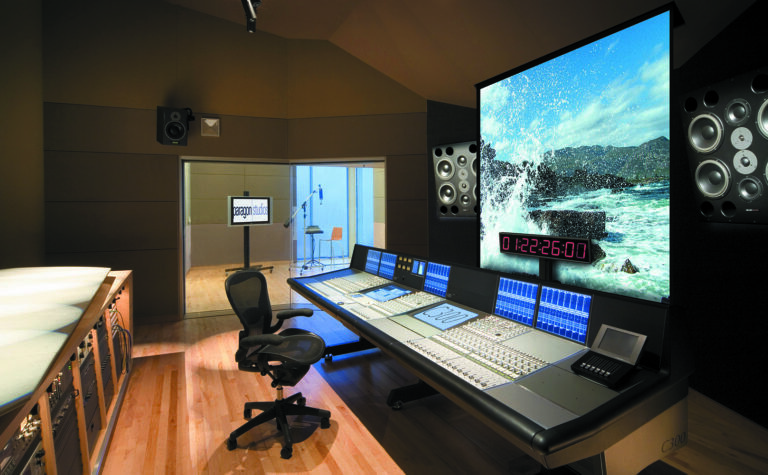 The C300 HD delivers significant time savings in the critical mixing stage of a project, offering increased workflow and true cost efficiency, particularly when compared to the compromised quality and throughput imposed by semi-pro audio editing equipment, which cannot provide the nonlinear multi-input automation, superior sonics, and integration advantages of a professional solution. Affordably priced, the C300 HD provides the features vital to commercial film and post production, while allowing tailored scaling of all parts in order to meet operational and budgetary demands. Future accommodation is through a clear upgrade path, ensuring a long and productive working life. C300 HD elegantly combines crucial elements of the mixing process in the console itself. 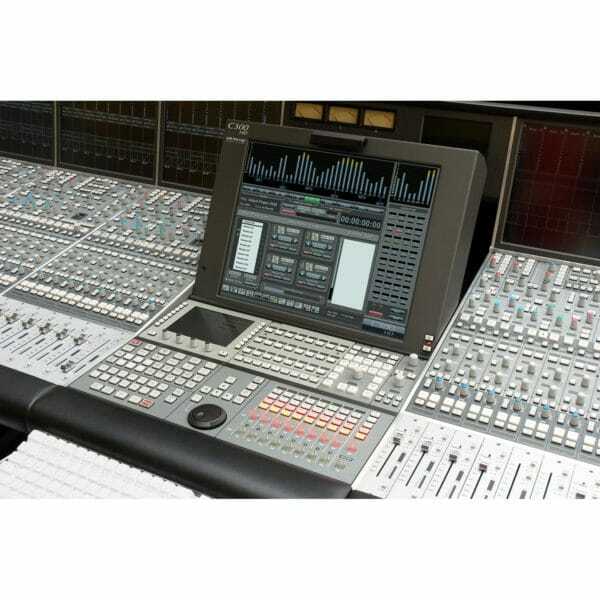 This ‘Master Studio System’ concept saves the studio time and money, removing the laborious and costly process of buying and attempting to integrate suitable mix automation, control surface, machine control and monitoring systems. Providing simultaneous processing and mixing inside the console and multiple DAW control, the C300 HD offers the best of both worlds. Easy, intuitive operation Even the most infrequent user will be up to speed quickly on the C300 HD’s clear and intuitive work surface, with knob-perfunction control of all parameters, highresolution TFTs displaying routing and processing, and a central touchscreen for configuration control. Rapid access and overview of complex mixes are made possible by user-customised channel layouts, 7.1 surround input channels, advanced parameter linking and an innovative scroll function that permits access to hundreds of signal paths from as few as eight faders. At the heart of a C300 HD system lies the Centuri core, designed to assist fast changing post sessions with on-the-fly redistribution of console channels, busses, audio processing and control surface resource – without any reboot or offline editing. SSL’s acclaimed sonic signature is assured in the C300 HD by proprietary 40-bit floating point algorithms, providing emulation of classic analogue circuits in powerful audio processing tools. SSL’s TimeFreeze™ automation system is unique in its non-linear read/write capability, allowing both slow-motion mixing for complex scenes and fast cue-by-cue alteration of parameter values. Automating many different items in different modes within a single pass provides the high level of parallel work – and resultant efficiency – essential in today’s time-critical mixing environments.